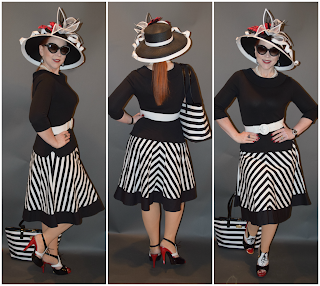 Red's Shoe Diaries: Got Milk?! 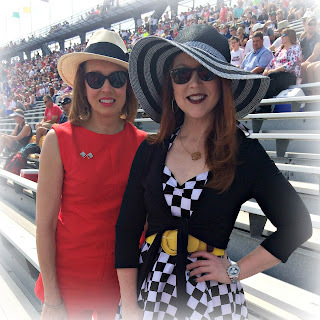 A fedora (left) was fun for a late-May party, but sitting in the bleachers for several hours at the Speedway on race day calls for a wide-brimmed hat (right) to shield me from the sun. Good morning, race fans! 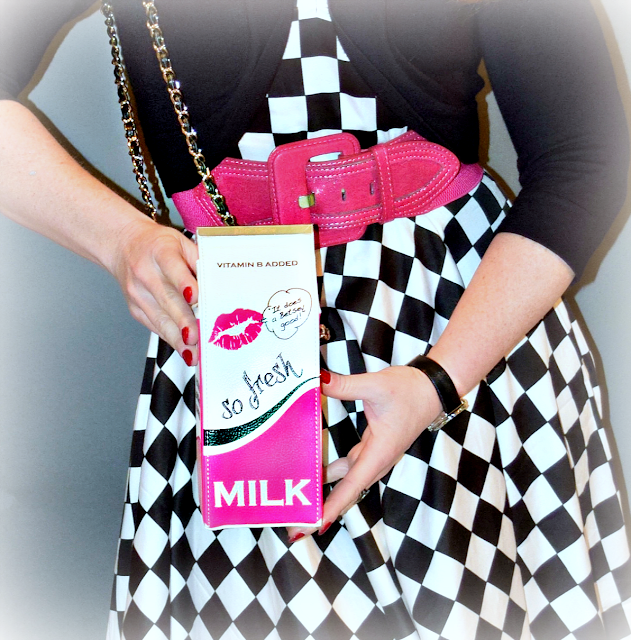 If you're not familiar with the Indy 500, you're probably wondering why on Earth I'm carrying a purse that looks like a milk carton. But if you're from Indiana or you follow the Verizon IndyCar Series and its most famous race, I don't have to tell you what the milk is all about. I used a pair of 1980s mother of pearl checkered earrings turned shoe clips to add a little Indy 500 style to my pink sandals. 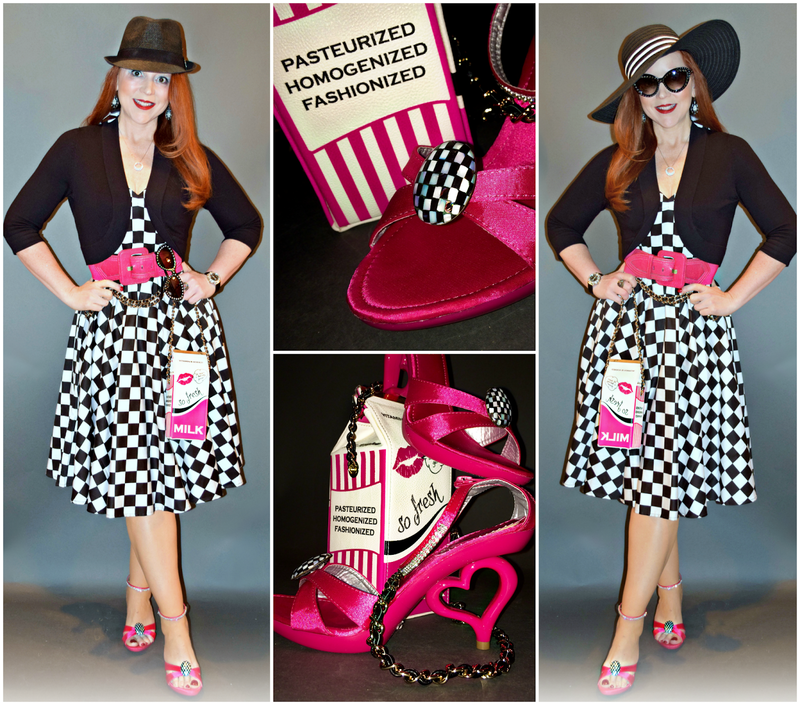 Yes, it's a little kitschy (and admittedly, so is the checkered flag sundress). But you know what? I just couldn't resist the cheeky little nod to the iconic Indy 500 Victory Lane beverage of choice (even though I personally prefer the taste of fine champagne...or Diet Coke...!